Unfortunately we only got to stay in Dartmouth for less than 24 hours and so we didn’t really get time to do anything too touristy – but I think it’s quite a small town with not too much to do anyway – at least, that’s what the locals joke about! The weather was unfortunately a little grey for us but on a sunny day, a day out in the town must be even more enjoyable. We had a lovely relaxing afternoon pottering around the shops. Dartmouth town centre is full of high end high street countryside brands like Barbour and Joules, which I guess says a lot about the clientele in the area. There were lots of nice pieces in the boutiques and Mr P and I could have spent a fortune on new countryside casual outfits. The town itself is really pretty, situated on an estuary, there are hills on either side with lots of pretty coloured houses built into them. There’s also a harbour with lots of boats on it which is also great for some exploration. There are also lots of pubs and places to eat – we saw plenty of cafe/restaurants which would have been perfect for afternoon tea and, of course, a traditional Devon cream tea. We stopped for a glass of wine (me) and a pint (Mr P) late afternoon (well, why not?!) 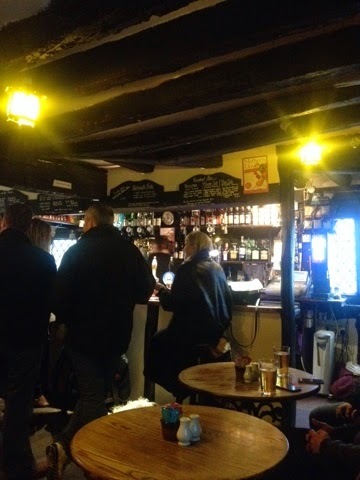 in the Cherub Inn and Restaurant which is the oldest pub in Dartmouth. 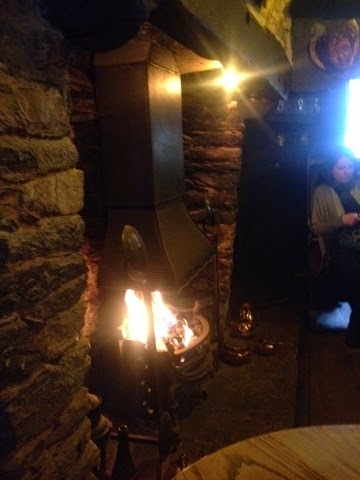 Drinks were reasonably priced and the pub was so cute inside, with overhead beams and a roaring fire. It had a local drinking sort of atmosphere which was really welcoming and I was dying to try some of the fresh seafood dishes on offer. 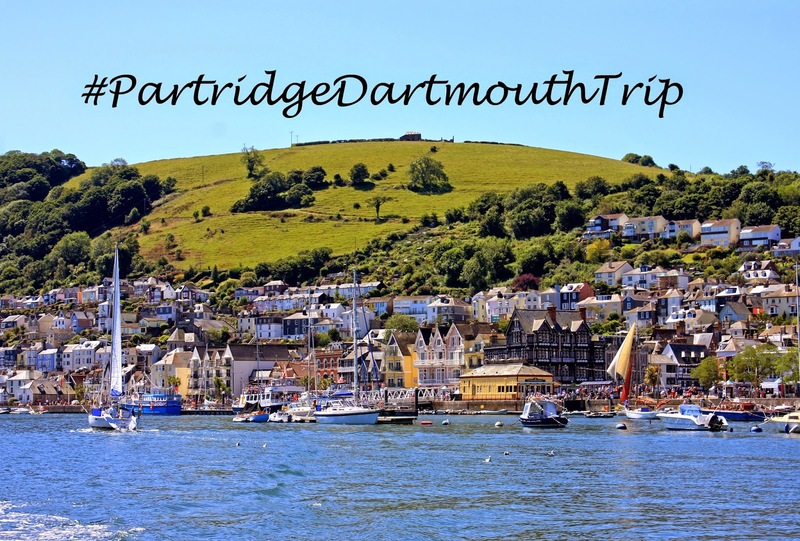 I would have loved to visit the Dartmouth Castle while we were there and I know Mr P would have loved to take a ride on the Dartmouth Steam Railway and so I’ll put those on our list for our next trip!